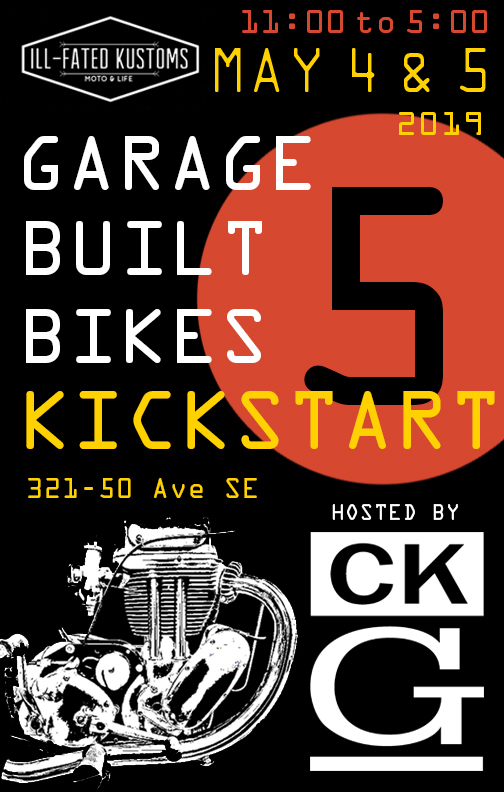 We are proud to once again partner with Ill-Fated Kustoms to host KICKSTART’s 5th Anniversary! This one-of-a-kind motorcycle show features a curated selection of custom garage-built motorcycles thoughtfully paired alongside our amazing CKG artists! TICKETS ARE $5.00 PER DAY AND INCLUDE DOOR PRIZE ENTRY. Kids 10 and under are FREE.